Episode 12: Sepsis with Dr. Bernardo Reyes Fernandez / Coming Soon! 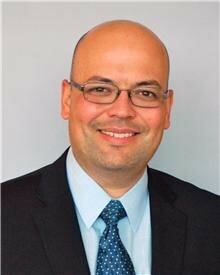 Bernardo Reyes, MD., is a board-certified internist and geriatrician, he serves as Assistant Director of the Internal Medicine Residency Program and Associate Director of the Geriatric and Palliative Rotations and Assistant Professor of Clinical Biomedical Science in the Charles E. Schmidt College of Medicine at Florida Atlantic University (FAU). Copyright 2017 amda. All rights reserved.